Māui could be functionally extinct within the next 20 years without urgent action to protect them. Scientists estimate that over 95% of unnatural Māui deaths are caused by entanglement and drowning in gillnet or trawl fishing. An expert panel convened by the government in 2012 estimated that around 5 Māui are killed each year in fishing nets, a rate 75.5 times what the population can withstand. Māui dolphins could soon suffer the same fate as our extinct moa unless urgent action is taken by the Government and fishing industry “to get nets out of the water”, warns WWF-New Zealand. A new official population estimate for Māui dolphins, released today by the Department of Conservation, reveals there are likely to be just 55 adult dolphins left. The revised count, based on sampling done by DNA profiling, indicates the population has declined significantly since the last population estimate of 111 which was published in 2005. “The Māui population has been declining since the 1970s, and protection measures introduced in 2008 have not succeeded in turning the situation around. It is a national tragedy that our critically endangered dolphins are still dying needlessly in fishing nets. We need to act immediately to get nets out of the water, including harbours and estuaries, to protect these dolphins throughout their range,” says Rebecca Bird, WWF’s Marine Programme Manager. Conservation Minister Kate Wilkinson and Primary Industries Minister David Carter said in a statement released today that they are proposing added protection measures while a full review is done and that the Government has asked for a planned review of the Hectors and Maui’s Threat Management Plan to be brought forward from 2013 to this year. Māui dolphins are an in-shore species found only on the west coast of the North Island, and their current range extends from Taranaki to Dargaville. 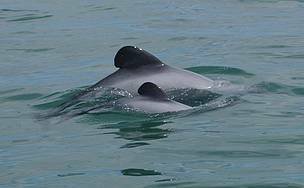 They are a subspecies of the South Island Hector’s dolphin; they share the same small size and distinctive rounded dorsal fins but are genetically distinct. WWF is calling on the Government to ban set net fishing throughout Hector’s and Māui dolphins’ habitat, to prevent more dolphins dying needlessly in nets. The global conservation organisation is also campaigning for a government-led effective action plan for the recovery of these dolphins that identifies, manages and mitigates all other threats to the species, such as boat strike, pollution, coastal development, sand-mining and exploration for oil and gas. Just last month, the then Ministry of Agriculture and Forestry (MAF) reported the death of a Māui in a fishing net off the coast of Taranaki. 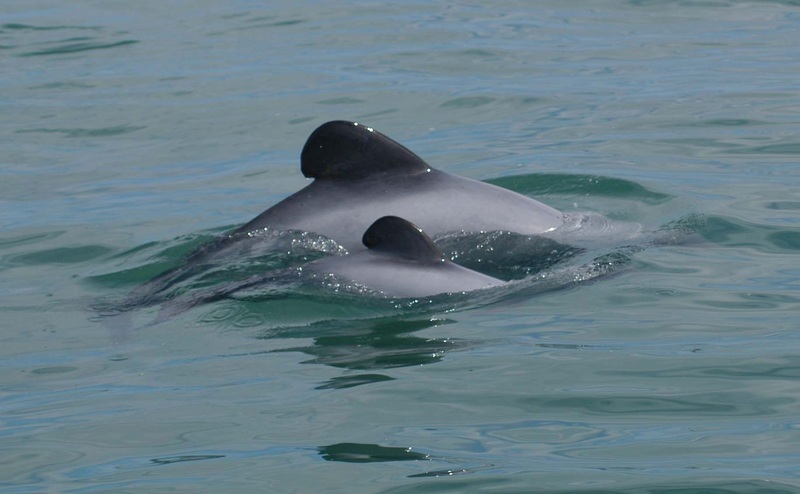 WWF is encouraging all members of the public to report any sightings of a Māui to its dedicated hotline, 0800 4 MAUIS, to help scientists monitor the range and movements of these small and increasing rare dolphins.